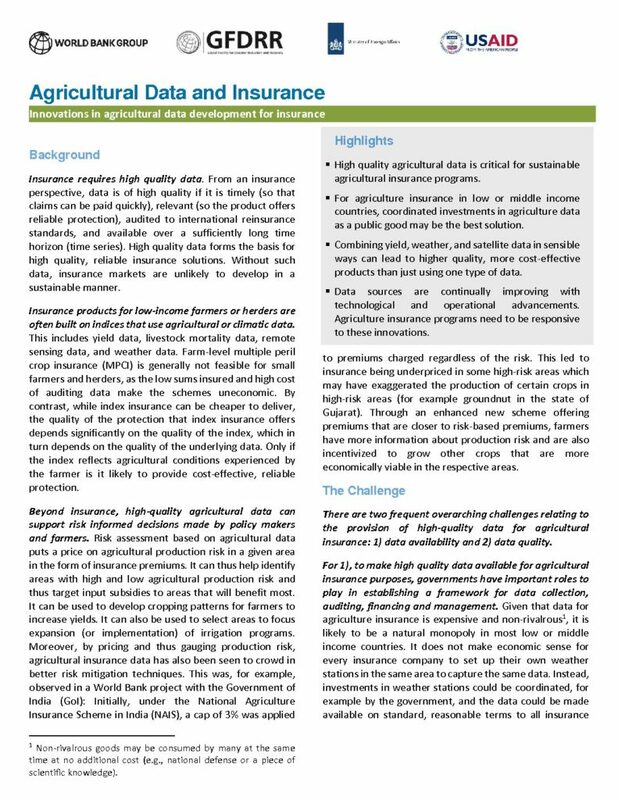 High quality agricultural data is critical for sustainable agricultural insurance programs. For agriculture insurance in low or middle income countries, coordinated investments in agriculture data as a public good may be the best solution. Combining yield, weather, and satellite data in sensible ways can lead to higher quality, more cost-effective products than just using one type of data. Data sources are continually improving with technological and operational advancements. Agriculture insurance programs need to be responsive to these innovations.